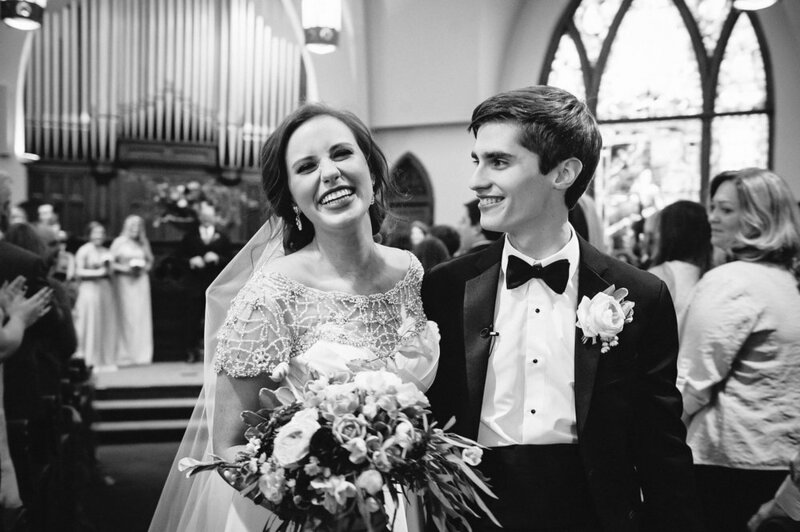 Real, free emotion on your wedding day--a first look steeped in joyful tears; the body language of a bride and groom with their backs to the camera, anticipating the lifetime that lies ahead; a whispered word during a first dance and the smile it incites--is fleeting. That's why wedding photography is so precious and enduring. Brad Burckel, the owner of Du Castel Photography, was a hobbyist photographer until friends asked him to shoot their wedding four years ago. 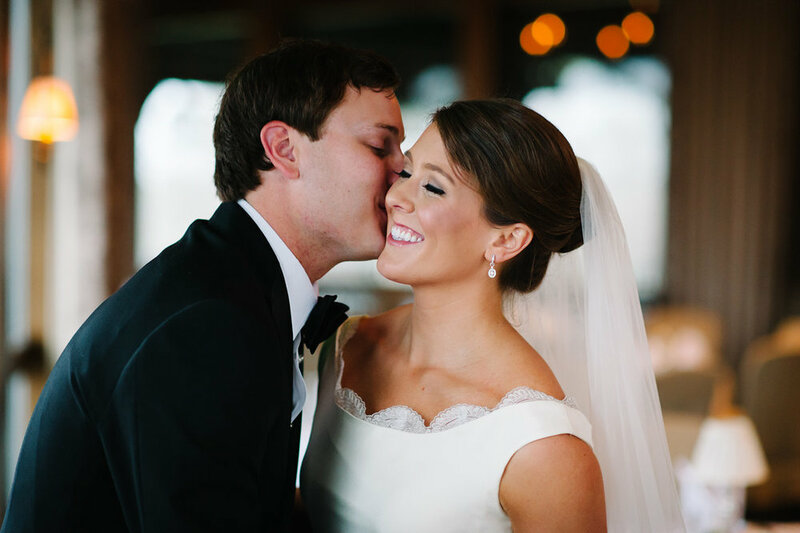 Since then, he's captured nuptials throughout his home state of Alabama, as well as other weddings on a national scale. Married for seven years and motivated by the beauty of their own wedding day, Brad and his wife Mary Margaret run Du Castel together. Equipped with a still-fresh sense of how and why to cherish your wedding photographs, he works behind the camera and her on social media. They've entrusted the business to the patronage of St. Joseph. Brad combines photojournalism with simply posed portraits and close-ups, film with digital, and color photos with black and white to produce fine art-style images that exude a gorgeously authentic timelessness. Down to the name of the business, inspired by Brad's grandmother's French maiden name (it's derived from "of the castle") there's a tangible sense of something classic about his work. Flip through Brad's portfolio and that elegant, old-world sensibility is evident in every frame, yet what truly strikes us is the purity of emotion and candor in each shot. The poet William Blake marveled at the reality that a human person can "Hold Infinity in the palm of your hand / And Eternity in an hour." That reality is so evident in the Eucharist, and before the altar at a nuptial Mass. To have that kind of transcendence, and all its accompanying emotion, captured on film is a gift of a miracle. From Brad: I work very hard to produce the best possible photography collection for my clients, one that truly captures their love story. With that being said, I also believe that marriage is a holy Sacrament and I try to balance the photography with the importance of the day. My own wedding day was one of the most joyful days of my life and I want this to be the case with each couple. 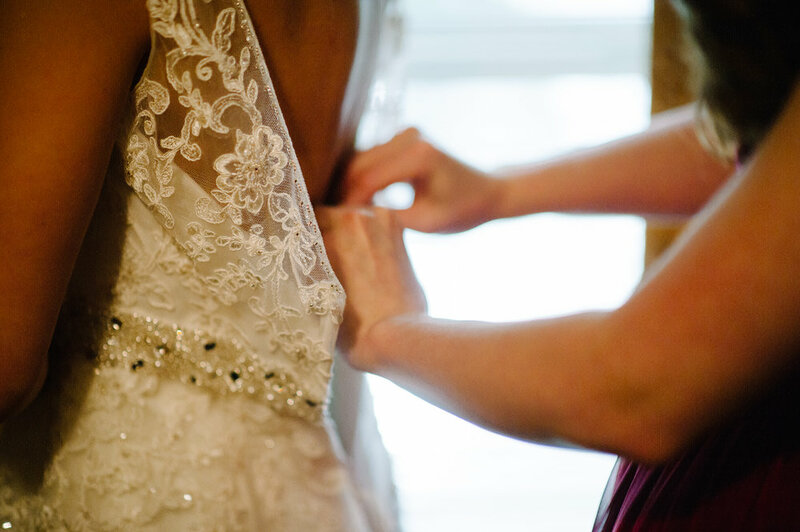 I also focus on providing a very natural experience, and producing photographs that those closest to you will treasure. I've been inspired by our family trips to Europe, with all its history and beauty--especially in its cathedrals. My work is inspired by photographers such as W. Eugene Smith, Rodney Smith, and Steve McCurry. My goal is classic, elegant, natural, and authentic.